On Wednesday May 4th I had a few hours free to go and look at trains. Based on a recommendation from a fellow subscriber to Freightmaster Interactive I took myself off to Villeneuve St Georges, on the former PLM mainline out of the Gare du Lyon, and the site of a major freight yard and passenger stock servicing facility located alongside the Seine in the SE quarter of the city. I was there for less than two hours and as you can see there was never a dull moment. 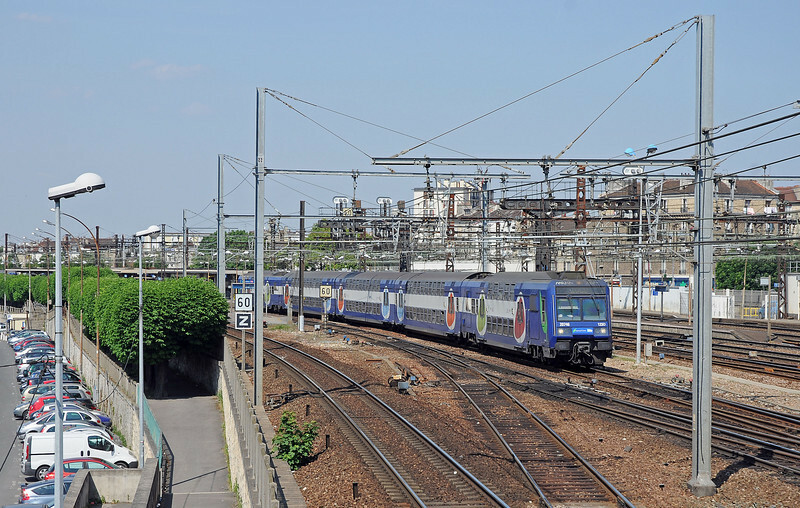 I caught the RER line D at Chatelet, here a typical Line D train made up of a dual voltage five car Z20500 double deck EMUs leaving Villeneuve heading south.